Lethbridge Volkswagen is proud to offer the Volkswagen mobility program to our customers. 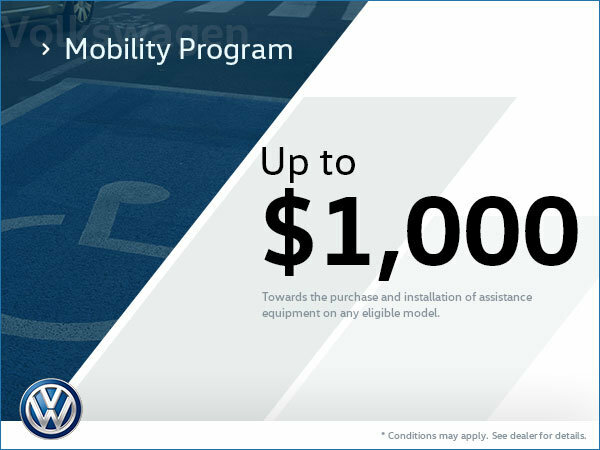 When you buy any Volkswagen vehicle at our dealership, you'll be eligible for up to $1,000 toward the purchase or installation of assistance equipment on any eligible model! We're here to help meet your needs. To learn more about this program, or to confirm your eligibility, contact us today!